Across West Asia and North Africa, bread is a symbol of wider demands for affordable living conditions and political participation. When Egyptians were protesting in 2011, they held up pieces of bread and demanded “bread, freedom and social justice”. Since the 2007-2008 and 2010-2011 crises, rising prices of food, especially of staples such as bread, have repeatedly led ordinary people to protest across West Asia and North Africa. Bread has also become a symbol of wider demands for affordable and just living conditions, as well as political participation in a region often marked by autocracy and paternalism. While some governments collapsed, most notably that of Hosni Mubarak in Egypt, others have remained in power, like the Moroccan constitutional monarchy. Morocco has seen protests, including the “20 February Movement”, which started in Rabat on February 20, 2011, with demands that King Mohamed VI relinquish some of his powers. But a constitutional reform later in the year has contributed to a relatively stable situation since then. Political scientists, economists and international media have advanced valuable analyses and identified the main causes of the region’s tumults. Yet, the perspectives of ordinary citizens remain surprisingly uncharted. To explore in particular why urban poor Moroccans have not taken to the streets despite economic and political conditions similar to those of their neighbours, it is worth understanding bread not just as a symbol of discontent but also as an analytical tool. As in neighbouring countries, bread has been central to political stability in Morocco for centuries. The monarchy and its political allies, often referred to as the makhzen (literally storage or granary), have positioned themselves as providers of food security: their political strength laid in storing cereals to face regular shortages caused by droughts or locusts. In 1912, the French established a protectorate largely based on the myth of Morocco as the former “Granary of Rome”, and attempted to produce wheat for export to France. After independence in 1956, however, Morocco became an importer of wheat and has remained so. Morocco’s population has tripled since then, and economic liberalisation promised employment and rising incomes. Nevertheless, youth unemployment and poverty remain high, especially in urban areas, where more than half of Moroccans now live. Despite the rising cost of food, the Moroccan government still controls wheat imports, production and prices. Bread, thus, remains a politically sensitive staple. To understand why wheat production, distribution and consumption remain under government control and how this relates to Morocco’s relative political stability, I follow bread’s path, working backward from its consumption to its production. Thanks to a grant from the Axa Research Fund, this ethnographic research is taking me from the homes of poor Moroccans in the cities of Marrakesh and Beni Mellal, through bakeries and mills as well as urban and rural markets, and into the surrounding fields. As I trace the trails of wheat grains and their transformation into flour and bread, I observe and participate in sourcing grains, milling them into flour and kneading bread. I also interview consumers, bakers, millers, vendors and farmers to connect cultural practices with broader economic and political processes. All the families I have worked with so far prefer homemade bread over commercially made bread. Although women, who are generally responsible for food preparation, are increasingly seeking education and wage work and have more money and less time to cook, they still try to make bread at home whenever possible. “Homemade bread just has to be there for a Moroccan lunch,” I was repeatedly told. This bread is made with water, salt, a rising agent and usually two kinds of flour; one is sourced through rural relatives or from weekly markets in the form of grains and ground into wholemeal flour at home, whereas the other is bought as refined flour and is cheaper, thanks to governmental price controls. While there are many reasons for using both kinds of flours, the practice of mixing reflects an overall appreciation of homemade food in the face of poverty and urbanisation. Homemade food is referred to as beldi in Moroccan Arabic, which also refers to one’s hometown or region. Making bread allows the many recent migrants from the Haouz and the Tadla to hold on to their rural identity and, by doing so, to craft a place to belong in their rapidly growing new home. At the same time, the government keeps industrially refined flour inexpensive through price caps. Many Moroccans, in particular the recently urbanised poor, mix this lower-quality flour with their preferred homemade flour to make it last longer. This practice allows them to hold on to their culinary and cultural practices and thereby contribute to shaping the Moroccan food system. As far as there is evidence, other urban West Asian and North African societies seem to have largely given up making flour and bread at home. A case in point is Cairo, where balady bread (the Egyptian word for beldi) refers not to homemade but to subsidised, commercially made bread. Taking the comparison a step further, one might venture to suggest that Egypt’s urban poor no longer contribute to making their staple food and, by extension, enjoyed less cultural, economic and political participation when they took to the streets in 2011. 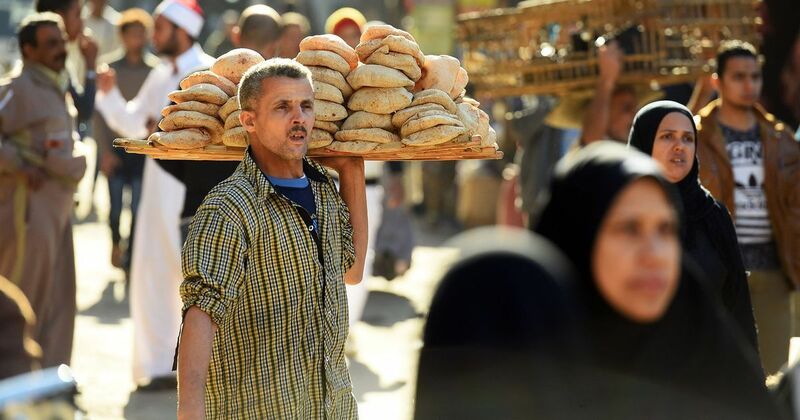 By contrast, in making bread and thus upholding a central cultural value, Morocco’s recently urbanised poor actively contribute their part to the relative economic and political stability of their country. With global food prices expected to remain volatile in the future, the Moroccan government is thus increasingly put to the task of balancing economic reforms with the need for urban food security. Created in 2007, the Axa Research Fund supports more than 500 projects around the world conducted by researchers from 51 countries. Katharina Graf, Anthropologist, SOAS, University of London.